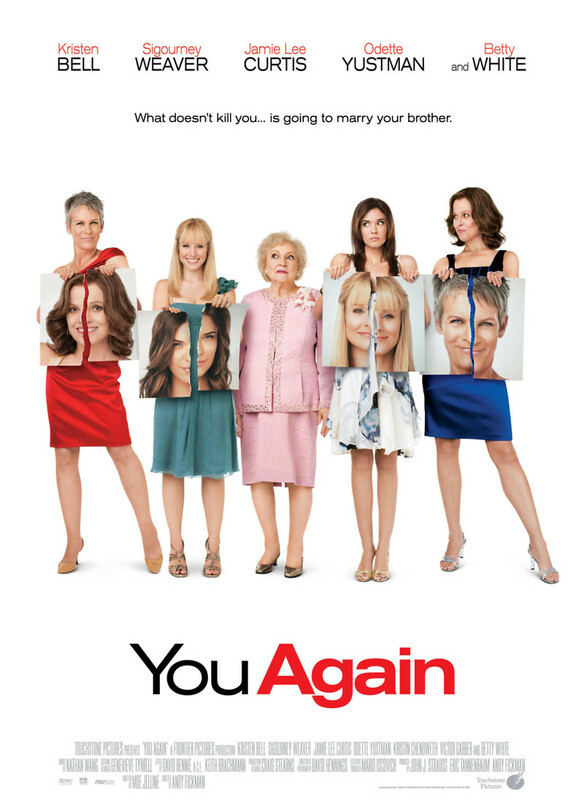 You Again DVD and Blu-ray release date was set for February 8, 2011. Marni arrives home to help her family plan her brother's wedding only to learn that her brother plans to marry the same woman who bullied her throughout high school. Though Marni hopes to put the past behind her, Joana doesn't seem to even remember her. After talking to her mother Gail, her mother suggests that she just move on and forget the past. Everything changes when Joana's aunt Ramona arrives on the scene, and Gail reveals that Ramona was her own high school bully. No matter what the mother and daughter duo do, they just can't seem to escape the ghosts of those two women. Set against the backdrop of a happy occasion, the two learn that seeing "You Again" isn't always a good thing.